Since 2013, Heart Valve Bank has branched out into supporting patients affected by cancer. The VIRAT hospice, Jabalpur, cares for patients with palliative care needs. The hospice which provides exemplary end of life care and support to loved ones, is unique in India where care for terminally ill patients can be challenging. HVB has been privileged in participating in this project with the hospice now supporting triple the number of patients it initially began with. The hospice currently has 29 beds and the patients are cared for by number of outstanding and dedicated staff. The current medical director for the hospice and a partner of Heart Valve Bank is Dr Akhilesh Gumastha. Heart Valve Bank has been involved in providing the gift of sight through organising free ophthalmology clinics for the less fortunate and providing specialised equipment such as the ‘Phaco’ machince, a phacoemulsification device, that has transformed the vision of thousands affected by cataracts, to the Sri Sathya Sai Institute of Higher Medical Sciences, Puttaparthi. Heart Valve Bank also supports the Sri Sathya Sai Hospital Surat with financing cataract surgeries and requirements for successful corneal implantation. Heart Valve Bank has been actively providing dental care by organising dedicated dental camps with free service provided by international dentists. 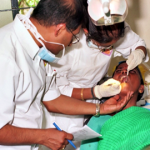 Apart from the free drop-in clinics, Heart Valve Bank financially supports dental procedures at the Sri Sathya Sai Hospital Surat as well as with the provision of technical necessities such as basic dental equipment and specialised state-of-the-art dental chairs. Heart Valve Bank has been proudly supported the Grama Seva project, literally translating as “Village Service,” in collaboration with the Sri Sathya Sai Institute of Higher Learning, Puttaparthi. Puttaparthi is a small rural village in South India, affected by poverty and disease due to protein calorie malnutrition and vitamin deficiency. With issues of malnutrition and lack of proper clothing, Heart Valve Bank set out to relieve the suffering of thousands affected by these unfortunate circumstances. Heart Valve Bank set out to help and supervise the distribution of food and clothing across numerous rural villages over a period of 7 days. The monumental task involved over a thousand volunteers serving 600 villages in the rural area with a total population of nearly 400,000 all of whom were served food and gifted with new clothes. 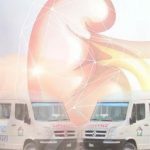 Of the numerous people Heart Valve Bank liaised with, it was evident that this gesture had gone a significant way to alleviate some of the physical and psychological hardship encountered by this population, with a vision of hope for their futures. Heart Valve Bank continues to support the area and population on an ongoing basis. From inception, Heart Valve Bank has organised numerous medical pop-up clinics across the world where health care professional volunteers offer their services free to the poor and needy. Destinations of medical camps have included destinations across India, Africa and the UK. Heart Valve Bank has supported the treatment of 4000 children affected by scabies. Children affected by physical disabilities have been provided for by Heart Valve Bank. The Ethandewi Sai Children’s home in Zimbabwe for disabled children have been the recipients of financial assistance for medical treatment of affected children. Heart Valve bank has contributed to providing safe water in and around the Sri Sathya Sai General Hospital, Pothapalli, with an aim to prevent water borne diseases. Drilling of bore wells outside of the village and further connection to the village water pipeline network has been supported by Heart Valve Bank. Heart valve bank has sponsored the constructions of health centres within educational campuses at Mandya, Muddenahalli and the Sri Sathya Sai Women’s college, Dharwad. Heart Valve Bank has provided fully functional ambulances to schools in Ooty, Tamil Nadu and Dharwad.